Self-care seems to be a big buzzword lately that has a very personal meaning for everyone. For me, I view self-care as a tool for stress management. For you, perhaps, self-care looks like a quick workout each morning or taking the time to prepare healthy meals for yourself every day. Maybe it takes the form of a well-deserved trip to the spa or taking a few minutes to enjoy your morning coffee in peace and quiet. However it presents itself in your life, I think we’d all agree that self-care is vital to both our physical and mental health. 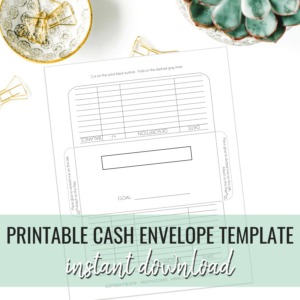 Over the past year or so, I have stumbled on what I consider another form of self-care, which seems to be rarely considered, yet I believe is one of the most vital…your financial health. At face value, it might seem as though your finances have nothing to do with self-care, but the reality is that statistics show otherwise. Did you know that 59% of divorced Americans state that finances played a role in their divorce? (source). In addition, people under financial stress are 13 times more likely to have a heart attack (source). And as if that’s not bad enough, financial stress has also been linked to depression and anxiety! I was realizing that no matter how much self-care, affirmations and personal development I practiced, I wasn’t reaping the benefits because I was under a great deal of constant stress. After some soul-searching, I determined that 90% of my stress was due to finances. My husband and I were in debt and we were miserable. It was just your normal, everyday debt…two car loans and some credit cards, like most people…but it was suffocating and the weight was too much to bear any longer. We lived paycheck to paycheck (barely) and I wasn’t able to stay home with my children as I had always dreamed of doing. I realized that if I could show the same attention and self-care in this part of my life as I did in others, it could really make an impact on my overall well-being. I wanted that more than anything and I want that for you too! I believe that self-care does not only apply to your physical body. If we want to be able to give the best of us to the most important people in our lives, we must attend to our mental health as well. I want to help you learn to practice self-care when it comes to your finances by giving you some actionable steps that you can (and should!) take right now. This is so important! Especially for stay-at-home-moms where the husband handles the finances – and while you might be okay with that, I encourage you to get involved! You and your spouse are a team and it is important that you are informed should there ever be an emergency where you are forced to be the primary decision maker. Do you know how to access all your accounts? Do you know where your insurance policies are? Do you have a will so your children will be properly cared for? When you are not the breadwinner it can often feel as though it’s not your right to make decisions regarding money in your household, but that couldn’t be further from the truth. Make your voice heard. Educate yourself in your family’s finances and you will start to feel more in control and less overwhelmed. Stress and worry are often a result of the unknown, so simply being on the same page as your spouse or partner can make a substantial difference! Financial guru, Dave Ramsey, always says “the borrower is slave to the lender!” Being in debt means your money isn’t your own. Having to pay someone else a part of your income will keep you from achieving financial freedom. Paying off all your debt and living within (or even below) your means will allow you to have money to save, invest and build wealth over time, eventually affording you a life completely devoid of financial stress! Intentionalism is a concept that seems to be gaining popularity lately. In a world so filled with consumerism, intentional living teaches you to prioritize your spending on things that bring you value and fulfillment. While frugal living might not be for everyone, intentional spending can be! Have you ever experienced “buyer’s remorse”? Being intentional with your purchases assures you will not feel guilty about spending, which can lead to stress and anxiety. Being intentional with your money can actually cause you to experience joy…and it’s liberating! Taking time each day to practice gratitude is one of my favorite self-care practices. Gratitude breeds contentment…but simply saying “I’m grateful for what I have” isn’t really practicing gratitude. Sure, it’s good to be grateful but try going a bit deeper to really reap the benefits! This practice is also one of the easiest and can be fit into the margins of your day. Upon waking in the morning, immediately think of three things you’re grateful for before sitting up or reaching for your phone. Then pause for a moment and feel grateful for the wonderful day you have ahead of you. Setting your intentions first thing in the morning helps you subconsciously set the tone for the rest of your day. Work at practicing gratitude in all the empty moments of your day. Turn the radio off on your drive to work, speak out loud if it helps and express your gratitude for your job, and that fact that you’re able to work and earn money. Express gratitude for the car you’re driving and the gas that is helping you to reach your destination. It might seem silly at first, but eventually, you will start to really feel the gratitude welling up inside of you and you will start to feel more at peace. Are you feeling content with your life as it is now? This is one area where I have really struggled. Keeping up with the Joneses had always been a part of my life and you might be able to relate. It seems that so many people are spending money they don’t have to impress others! This creates a vicious cycle of envy, overspending, and feeling like who you are and what you have just isn’t enough. These constant feelings of inadequacy can take a toll on your self-esteem and confidence. There will always be someone prettier, wealthier, funnier, or skinnier. Learning to love yourself and your life right now is the key to contentment! The practice of setting and achieving goals is incredibly rewarding. As humans, we are made to be challenged and that applies to your finances as well! Take some time to dream together as a couple. Where would you like to see yourself or your family in a year? Five years? Ten years? Retirement? What would you like to do together? As a family? I strongly believe that setting aggressive goals and working towards them as a team was a huge factor in us paying off a large amount of debt in a short amount of time! Set your goals, create a plan and work towards them – Every. Single. Day. Even if it’s just a small step. 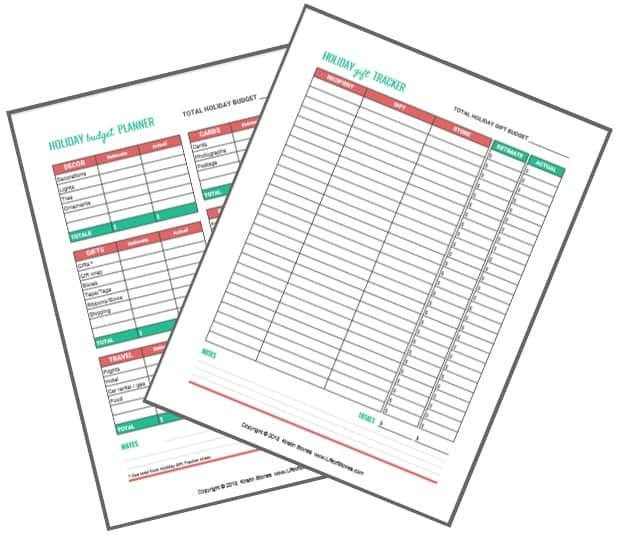 Keeping them visible at all times, being consistent and tracking your progress will help you stay focused on your goals! I want to encourage you to include financial care in your self-care routine. Money will not make you happy, but it can provide freedom. Freedom to live a life you love without the weight of debt dragging you down. Freedom from financial stress so you are able to focus on other parts of your life that may need your energy. And freedom to spend your time doing what makes your heart happy, instead of working each day to build someone else’s dreams. As women, we seem to prioritize everything and everyone on everyone around us. Taking the time to nurture myself in all areas has helped me live a more balanced and purposeful life, and it can do the same for you! What are your favorite forms of self-care? 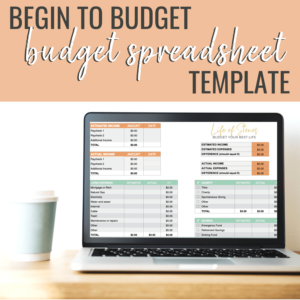 Please feel free to share them in the comments and don’t forget to check out my new Begin to Budget Bundle to help you get started budgeting today! I absolutely love this article! Being more aware of my finances and having goals has made us excited to reach those goals and be stress free! Thanks Mayra, it really does make such an incredible difference in your stress levels and overall well-being!! This is so true. I always thought budgeting or working with my husband to manage money would cause more stress and tension so I avoided it. In fact the opposite has been true!